Back from our vacation at the cool Atlantic Ocean, we were greeted by a wall of hot air after our midnight arrival at home. The heat was overwhelming in every room, but especially in our bedrooms under the attic. But no matter how long we kept all windows and doors open, the cool night air never made it to the corner where our bed is located. 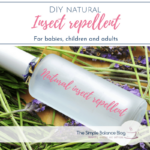 The three main ingredients are peppermint oil, aloe vera gel, and witch hazel, which you may be familiar with as an ingredient of my DIY mosquito spray. It’s no secret that peppermint has a refreshing effect. Even aloe vera gel has gained quite some popularity for naturally soothing relief after a sunburn. But the equally soothing, cooling and even skin nurturing properties of witch hazel aren’t quite as well known yet. But I still had one problem. While the cooling effect of peppermint oil might be very welcome during the day, its invigorating properties are everything but helpful when you’re trying to go to sleep. This is where the essential oil family’s all-purpose weapon steps up: lavender. Not only does it promote skin healing, it has a very calming effect on the human mind, too. The perfect solution for a refreshing body spray at night. 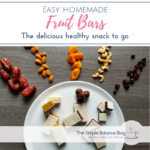 I’ve put together three variations so you get to pick depending on availability of ingredients and level of enthusiasm. In addition, each body spray can either be prepared with invigorating peppermint for use during the day or with calming lavender before you go to sleep. Important notes: Pregnant women should only use essential oils in consultation with their midwife or OB/GYN. In breastfeeding mothers, peppermint oil can reduce milk production, which is why it should be avoided unless you are weaning anyway. Mint produces a relatively spicey essential oil. Therefore, when used for children under the age of 6 years or on sensitive skin, only use 2-3 drops of peppermint essential oil instead of the 10-15 drops listed. 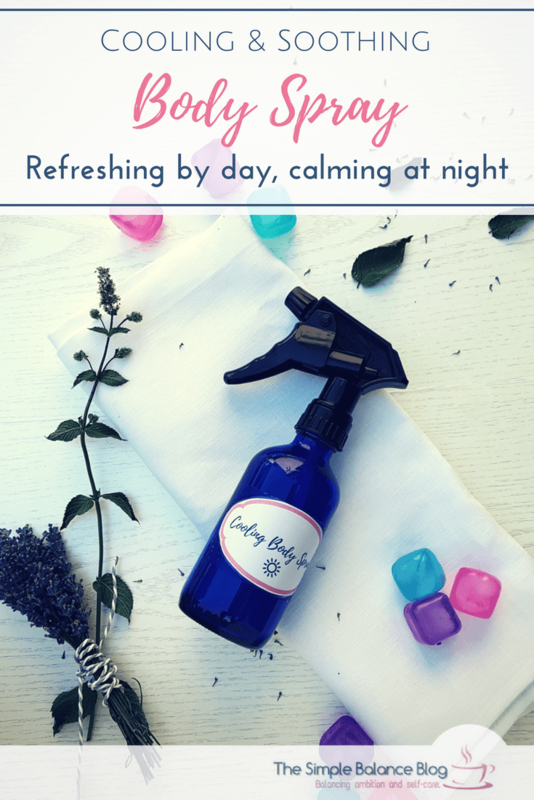 Alternatively, simply use lavender spray day and night. And finally, please do not spray the mint varieties into your eyes or the immediate vicinity. Screw on the spray nozzle and shake the mixture well before applying the body spray to refresh arms, legs or neck. The advantage of this formula is the combination of two skin-caring and cooling agents with essential oils. Unfortunately, it doesn’t produce a fine mist because of the aloe vera gel. It’s more of a squirty splatter… 😉 But I love the soothing feel of this during the day so even though it needs a little hands-on distribution, it’s still my favorite of the three. Hydrolats are a by-product when producing essential oils, sometimes also referred to as hydrosols or plant water. They contain the water-soluble components of the plant and traces of the essential substances. However, a hydrolat is significantly milder than the essential oil and it does mix with water as opposed to the oil. By purchasing peppermint water or lavender water, you can make a refreshing body spray in a matter of minutes. Screw on the spray top and mix well. 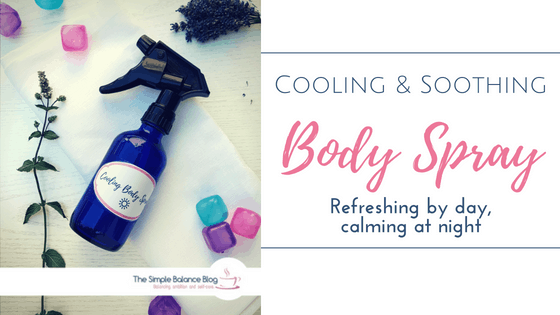 When in need of cooling refreshment, simply spray on arms, legs, or neck. A big plus for this recipe is the fine mist it produces. 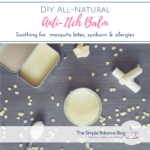 No need to distribute on your skin and no need to shake vigorously before each use. It does lack the soothing effect of aloe vera but it makes up for it with the effect of a cooling summer rain. Since there is no oil, components are much more evenly distributed within the mixture. Shake well before each use to disperse the essential oil more evenly into the witch hazel. Use as described whenever you need to cool down. The downside of having to shake well before each use is more than compensated by the ease of preparation and the fine mist it produces. If your tea drawer is overflowing, strong tea can be used to make a body spray, too. Put one tea bag of peppermint or lavender tea in 75 ml (2.5 oz) of boiling water and seep while allowing to cool to room temperature. Remove the tea bag and add the tea to a 150 ml (5 oz) spray bottle. Finally, top up with witch hazel. The big downside of this variation is the dark color of concentrated peppermint tea so it could leave stains on light-colored clothing. In addition, this spray has a short shelf life because tea is usually getting murky after 2 days. The clear advantage is that you can use mint from the garden or the tea you might have on hand. However, because of its short shelf life, my recommendation is to use one of the three recipes with long-lasting ingredients. 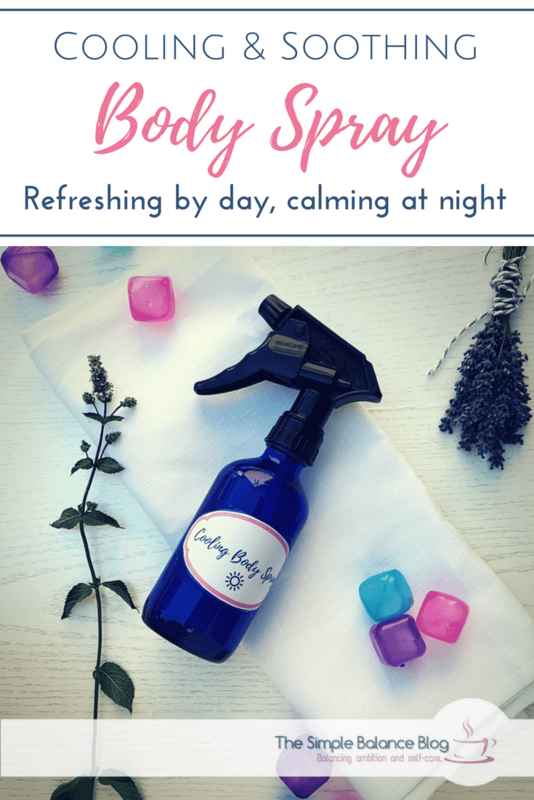 As an added bonus I invite you to download my printable to use the labels I created for this body spray. They’re not uber-fancy but will do the trick. Simply sign up for my newsletter in order to get free access to my VIP area. Within the next few weeks, you’ll see more resources added so be sure to join my list. 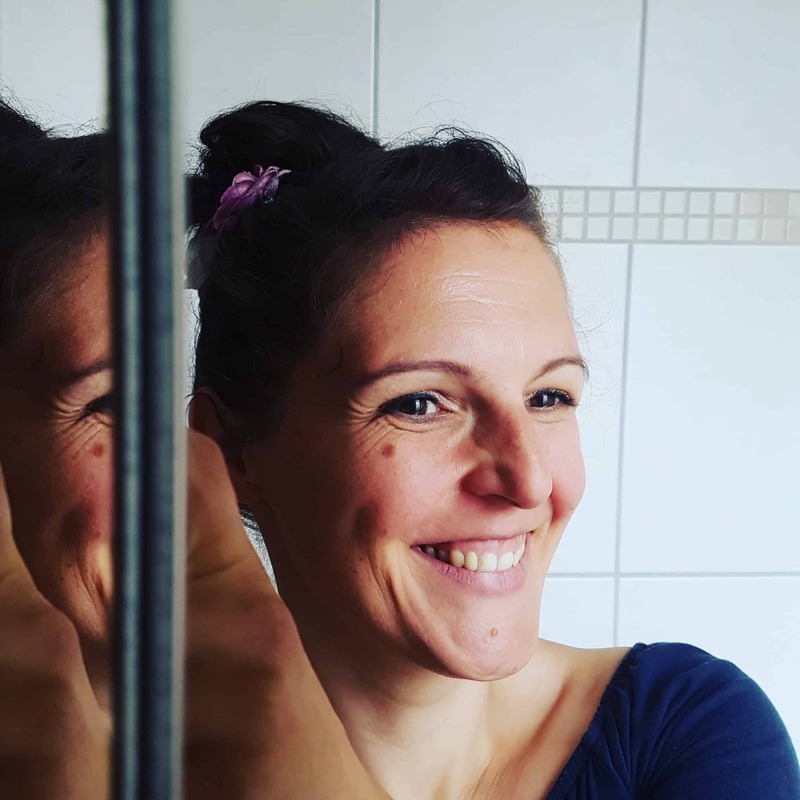 In addition, I’ll send you simple balancing tips straight to your inbox about 2 times per month – for a little extra encouragement that I don’t share on here. 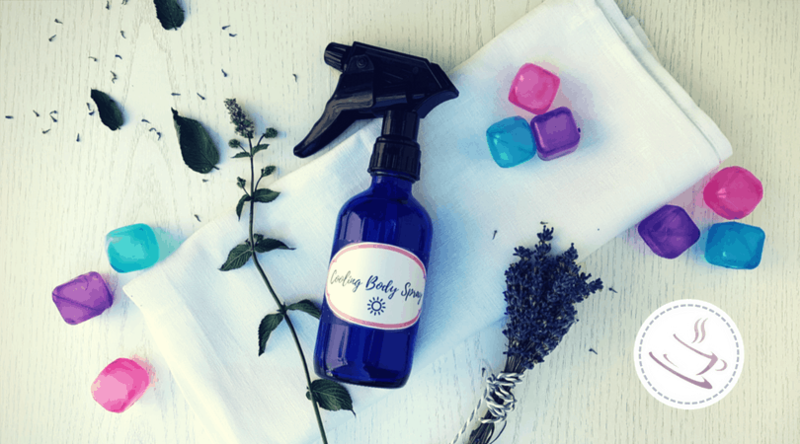 And finally, a note about spray bottles: For products with a high concentration of essential oils (such as the mosquito spray), I like to use the beautiful blue glass spray bottles. However, small plastic bottles make more sense when traveling and in the bathroom. If you don’t have the energy to chase ingredients and mix something, just get the hydrolat. Peppermint water as well as lavender water may also be used in their pure form and are a great, no-stress solution straight from the fridge. Maybe you just want to increase the effect of the fan. Or you have no access to a pool without jumping through hoops. Maybe you just need a solution for school and office. Or you simply want to fall asleep more comfortably in your hot attic bedroom. In any case, this cooling body spray will make summer much more enjoyable. Enjoy the refreshing effect of soothing witch hazel and cooling aloe vera. Use the side effect of more focus with peppermint or a more evenly keeled mood with lavender. So grab the ingredients, treat yourself and let summer be summer. If you’d love to get more tips that make life easier and more enjoyable, simply sign up for my newsletter This will also give you free access to my VIP area. Within the next few weeks, you’ll see more resources added so be sure to join my list. 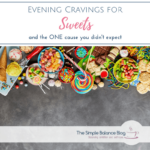 In addition, I’ll send you simple balancing tips straight to your inbox about 2 times per month – for a little extra encouragement that I don’t share on here.